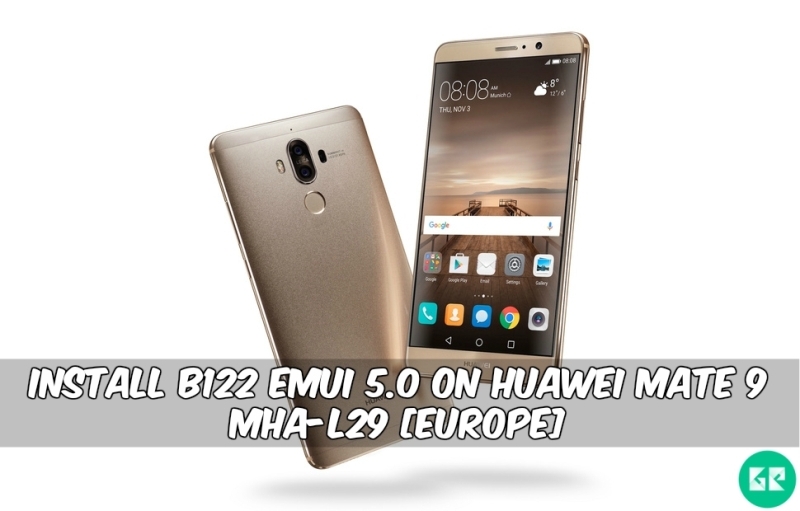 Today we share with you guide to install B122 Emui 5.0 On Huawei Mate 9 MHA-L29 for the Europe variant device. Some day ago Huawei launched Huawei Mate 9.The Huawei Mate 9 is run 1.8GHz octa-core HiSilicon Kirin 960 processor and it comes with 4GB of RAM. Internal storage is 64 GB GB that can be expanded up to 256 GB via a microSD. It has 5.9 IPS LCD capacitive touchscreen with a resolution of 1080 x 1920 pixels . Huawei Mate 9 lets you snap brilliant Dual 20 MP +12 MP back camera for good image and 8-megapixel front camera for a selfie. It measures 156.90 x 78.90 x 7.90 (height x width x thickness) and weighs 190.00 grams. It has a Non-removable Li-Po 4000 mAh battery. 2day ago Huawei releases a new OTA update, Many Users Asking that how to update to stock_B122 Nougat OTA for manually Flash. We Already shared The Huawei Mate 9 Android 6.0 B122 Ota Zip. Here The Guide And B122 Firmware Link. So don’t wait just go below and follow the guide…..
Download Huawei Mate 9 firmware package (what you want to flash). After Flashing Done Your Phone Automatic Reboot & Enjoy Android Nougat. Select Software Upgrade > SDCard Upgrade -> confirm the installation. Flashing Will Start. After Flashing Done Your Phone Automatic Reboot. For more latest update please like our Facebook and other social pages…..